Over 39 years ago, Jack Cakebread came to photograph the Napa Valley for a book and while there, he casually mentioned his interest in one day owning a vineyard to some family friends who had a ranch in Rutherford. When he returned home that afternoon, the phone rang and it was the family friends offering to sell their property. 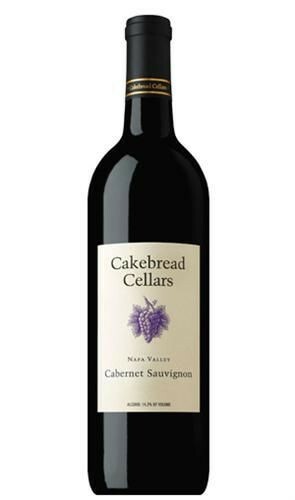 He headed back up to the valley that same afternoon to make his best offer, and Cakebread Cellars was born. Dedication to making the highest quality wines and a commitment to family has followed a continuum as their first small vineyard has grown into a thriving internationally distributed wine company. The Benchland Select Cabernet Sauvignon is crafted from two exceptional vineyards in Napa Valley's gently sloping western benchlands, including Jack Cakebread's Hill Ranch in the heart of the famed Rutherford appellation not far from the winery. These sites enjoy ideal eastern exposures, well-drained soils, and mild afternoon temperatures, resulting in uniform fruit ripening and wines of impressive depth and elegance. 100% Cabernet Sauvignon. Deep, dark ruby color. A characteristically lavish nose of dense ripe boysenberry, blackberry, and blackcurrant fruit mingled with pronounced loam and mocha scents. Full-bodied and lush on the palate, its deeply concentrated boysenberry, blackberry, cassis, and dark chocolate flavors have a wonderful freshness and purity that extend into a long, savory finish framed by ripe, supple tannins and sumptuous-toasted oak tones. Pairs well with rich beef, pork, or lamb dishes.